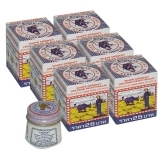 Inhaling and rub for relief of sprains, bruises, muscle pains and insect bites. 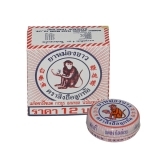 The mild-smelling balm is extremely popular in Asia due to its diverse effects and applications. 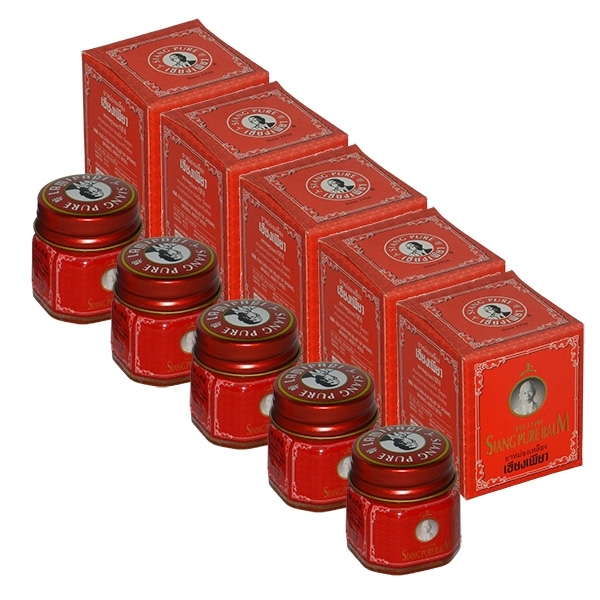 It is made after an ancient Chinese recipe and is based on pure natural ingredients. For insects, it appears repugnant, but also soothes insect bites afterwards. 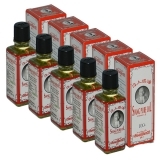 For cold symptoms, it works liberating, and can also be used directly below the nose. It may relieve slight dizziness, nausea and headache (that is, of course, depending on the cause). It relieves muscle, bone and joint pain. It supports the healing of bruises and blunt injuries (NOT on open wounds). Just apply several times a day at the appropriate places. - Only for external use! - Pregnant and breastfeeding women, as well as allergy sufferers should consult their doctor before! - Keep out of reach of children! Note: We would like to point out that we do NOT store balms, oils, creams and other health and care products as they have an expiration date, but always buy those products "fresh" for each order. Therefore, the shipment may possibly be delayed by 1-2 days. Hallo Ihr lieben vom onlineshop-asia Team,jetzt bei der aktuellen Bestellung bin ich voll zufrieden - wie letztes Jahr auch.Das Langarmshirt von WORK, weiss mit brauner Grafik Teufel rundum bedruckt, in Größe XL passt gut. Für einen Mann mit 180 cm Länge, Brust 116 cm und Bauch 96 cm reicht das Shirt etwas über die Hand und ca. 10 cm über den Gürtel. Es fühlt sich weich und kuschelig an auf der Haut. Wenn meine Größe wieder verfügbar, ist folgen wohl noch weitere.